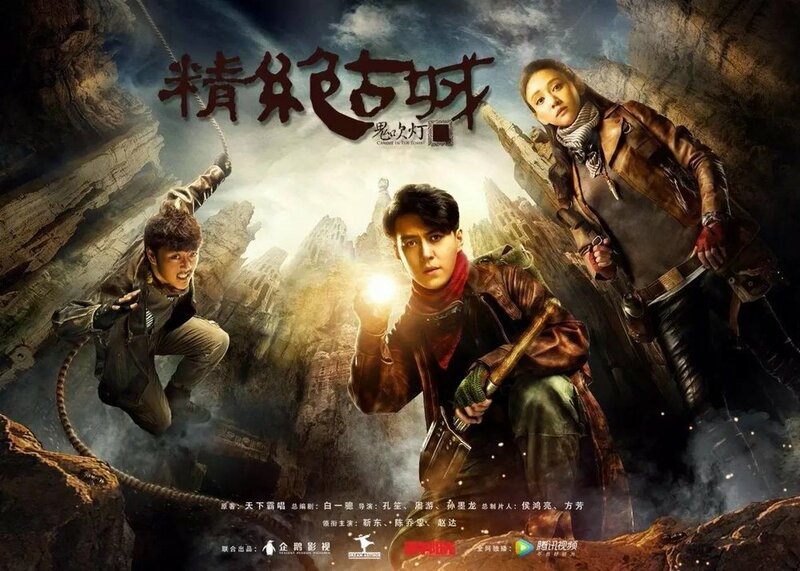 Set in the 1980s, the story starts with a former soldier, Hu Bai Yi and his friend Wang Kai Xuan raiding tombs to find hidden valuables in exchange for cash. Later in the plot, they joined forces with an American-Chinese adventurer and a group of archeologists to search for a mythical city, encountering unexplained circumstances along the way. This is just the first season and there is definitely more coming up! A strong, disciplinarian mother, Bi Sheng Nan and her husband, Luo Suo have differing views on how to raise their daughter, Luo Xi Xi. Xi Xi is very much doted and the princess of the family. After learning about the difficulty of entering a good school, Bi Sheng Nan realised how much they have spoiled their daughter and takes on the role of "Tiger Mum", helping her daughter improve academically. On the other hand, Luo Suo is the "Cat Father", who feels that their daughter's emotional growth is more important. This is a story that focuses on the education of China children in today's society. Doesn't this drama already sounds interesting from its title? The story goes like this: During the 4th century, war broke out between the Northern Wei dynasty and Southern Liang dynasty. Hence, Liang's General Lin Xie took his son, then 19 year old Lin Shu, to battle. Much to Lin Xie's surprise, he was framed by a political rival, causing the wrongful deaths of many Chiyan army soldiers, just after they drove off the hostile Wei forces. After barely escaping with his life, Lin Shu establishes the Jiangzuo Alliance with the help of Langya Hall and makes a name for himself as Mei Changsu, chief of the pugilistic world. Under the alias of Su Zhe, he returns to the capital of Liang to overturn the injustices imposed on the Chiyan Army and secretly assist his friend - the unfavoured Prince Xiao Jingyan in his battle for the throne. 54 episodes is pretty long, but if brotherhood, loyalty, revenge, politics, romance all mixed into one drama is your cup of tea, then jump right in! Whilst the title suggests some romance involve, this drama is filled with high suspense as well. Bao Jin Yan is a criminal psychologist, who is able to get into the minds of the most violent criminals. He works as a professor at The University of Maryland and also a consultant for the police for hard cases. He meets Jian Yao, the daughter of a veteran police officer with a sense of justice. Together, they work to solve some of the most difficult cases. Ever since its debut in 2005, this animation series has became insanely popular with children. The story is about a group of goats who live on the Green Grassland and a clumsy wolf who wants to eat them. The hilarious storyline won the hearts of children as it aired over 40 channels in China as well as countries such as Taiwan, India and Singapore. We hope you found something that you can binge-watch on!